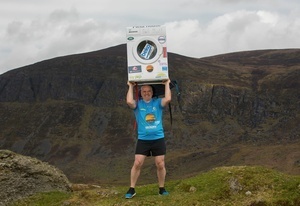 Enda O’Doherty will carry a Beko washing machine to the summit of Africa’s highest peak, Mount Kilimanjaro in aid of Pieta House in July. Waterford man Enda O’Doherty will climb Kilimanjaro this summer in aid of suicide charity Pieta House carrying a Beko washing machine. In July 2017 I intend to carry my washing machine to the summit of Africa’s highest peak, Mount Kilimanjaro. 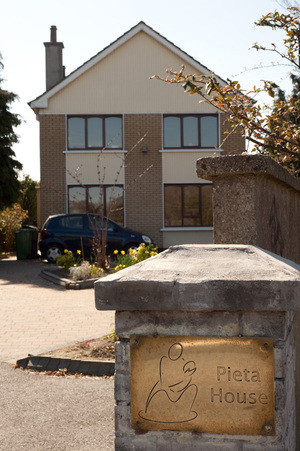 My goal is simple, I aim to raise vital funds for Pieta House and to spread a positive mental health message. Most people ask, why a washing machine? From my side, it’s very simple, the Washing Machine that I’m carrying symbolises the heavy hidden load that many people carry and stay quiet. 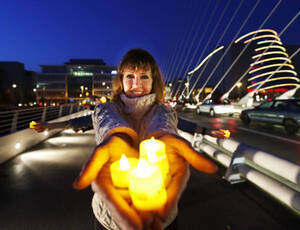 We are aiming to raise awareness and also raise funds for Pieta House and every little helps. Posted in Misc and tagged Kilimanjaro, Pieta House at 11:17 am on May 30, 2017 by Broadsheet. Hope he’s going to bring it back down afterwards. Last thing Kilimanjaro needs is a rusting Beko. Bertie, I had you down as a Teardrop Explodes sort. I can’t help but feel ya dropped the ball on this. You don’t think Gabriel was the better option? I was very impressed and not a little envious. Bit like Mkhitaryan’s scorpion kick. Thing is if you followed up that beaut with the TE one you’d be on a hat trick now. You know it’s within you. Putting a good spin on it isn’t he? Don’t be BOLD, easy on the Persil comments or I’ll make you Vanish. I’m sure we could wring a few more out, even if they came out mangled. The Ariel view from the top is Comfort-ing. -Did you bring the washing machine? -I did. Did you bring the washing? -I did. Long way to go to do the laundry, isn’t it? -Shurrup, We’re raising awareness. Show me where I plug it in. -Yeah. And where’s the inflow and outflow pipes? For feck’s sake, is there no plumbing? -Look, they had en suite on top of Carauntoohill! -And there’s wi-fi and a electric car recharging on Ben Bulben! -…how long have you been running up mountains with a washing machine? -Here, we’ll just put the clothes in and rock it gently. Would you like to get on top while I rock? -Rock me gently on me washing machine. I love when you do that. Have you got wagon wheels? Is he paying for his own flight, washing machine and carriage of washing machine personally? Or does he take that from the fund? Serious ( & admittedly very cynical) question. But , some of us have long memories when it comes to charity fund raising and misappropriation (stealing) of funds. Anyway good luck to him and his African holiday & hobby. You think he’s laundering it? If the washing machine isn’t named Steve Beko then I don’t want to know. Ah, no, we need to seriously up the game now. We need to go into space. Get irish prodigy to build a rocket in Chile or New Zealand, load turkish BEKO and off it goes into International space. That’s how you fund irish health services on top of corruption :-) Two birds with one stone, lol. Take two bottles into the shower? Not me! Look at that old white guy. It looks like he is doing a fund raiser in a look-at-me!!! kind of way. Oh well, I’m sure its for a good cause. What cause is it for by the way? Those poor albino kids who get hacked to pieces for witch doctor medicine? Building a school to help Tanzania’s appalling education system? AIDs drugs? no. he’s raising money to help rich white kids stop killing themselves in the first world 7000 miles away….ohh…well…okay then ..how do you quantify how spending money on suicide is money well spent? QUIET!! its charity , its all good ,don’t question it. You should put that comment on your back and run up a mountain for a cause you approve of. Cheap ad for Beko ? Fair play to him. Tough hike.